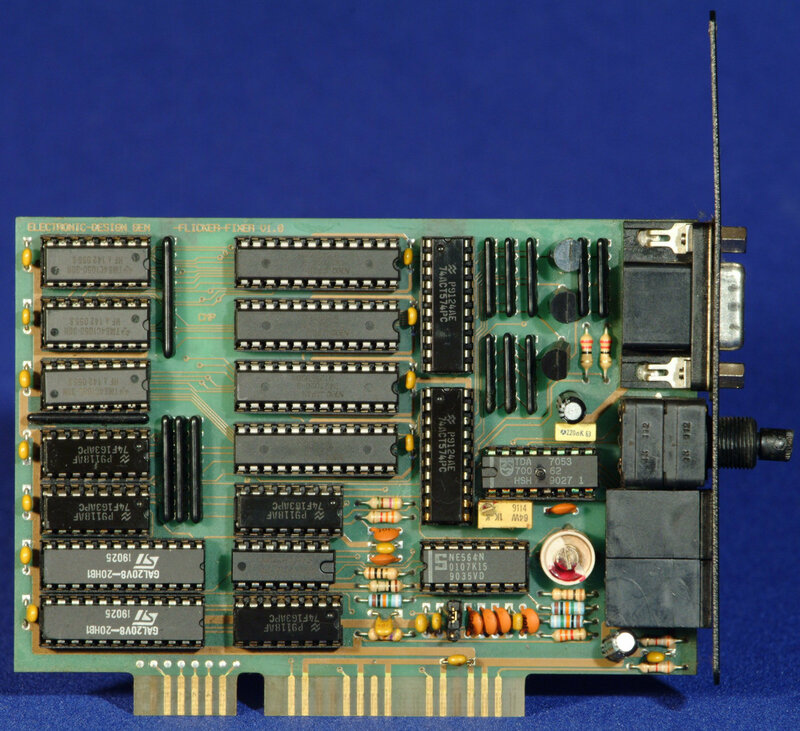 Flicker Fixer which is designed for use in the A2000 style video slot, so only supports older ECS/OCS modes. It contains a DB15 (VGA) connector and a potentiometer for fine adjustment. Page contributors: Borut Zivkovic, RiWa & Friends.